Authentic Gracie Jiu-Jitsu Instruction – Here in Barrie! Lewis’ Karate Schools is proud to be the exclusive affiliate of Gracie Humaita in Barrie. 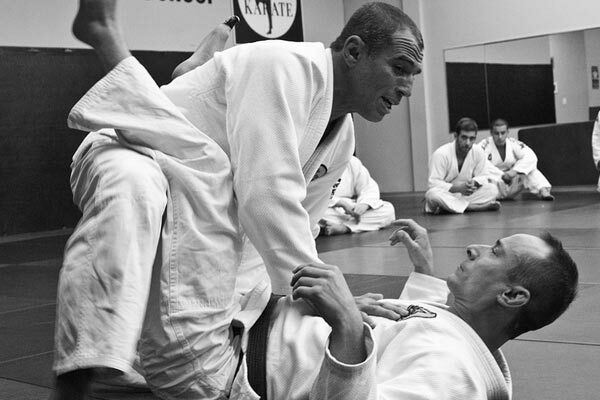 Royler Gracie and Royce Gracie are frequent guest instructors at Lewis’ Karate Schools. In addition to Gracie Jiu-Jitsu classes taught on multiple days each week, including mornings, we offer seminars and clinics featuring Royler Gracie, Royce Gracie, and other notable instructors. Welcome To Gracie Humaita Barrie!! Whether you are new to the Martial Arts or highly competitive, curious to learn what all the excitement is about or looking to get active and healthier, we are here to exceed your expectations. Our Adult Program is designed for ages 13 and up with a focus on a strong foundation of fundamental techniques. With the Gracie Jiu-Jitsu system of self defense, it is designed to be effective for all sizes and strengths. Just as important is perspective, implementation and execution of techniques requiring practice, patience and more practice. You will soon notice the unique camaraderie between students of all levels, creating a positive energy learning from each other. This program is perfect for the young eager student aged 5 years and up. Children have a natural affinity with exercise, learning and especially ground play. Here they will develop strategies, focus and control in our curriculum based classes. Moral character is threaded throughout instruction whether it be the importance of integrity, commitment, follow through, contribution to community to as simple as kindness towards others. Don’t be surprised when your young student stands taller, builds confidence and speaks up for what is right and just! They are the leaders of our future. Please contact us directly for more information regarding arranging Private Lessons. Regardless of the program that is applicable to you, here is what you can anticipate with your decision to train with us. Over 30 years Martial Arts experience with an additional 20 years dedicated specifically to Jiu-Jitsu. Superior service; we pride ourselves to know each of our students, their families, goals and ambitions to name a few. Professional learning environment with a respect for all students is of paramount importance. These are hallmarks of an exceptional facility that we are certain would meet your high standards. We realize you have a choice of where you train and feel privileged that we have the opportunity to inspire you. Stop in to see us soon, we would be pleased to introduce ourselves personally. 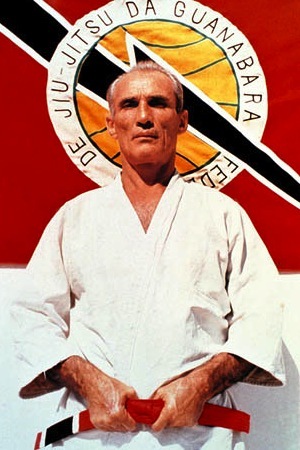 Royler Gracie – Son of Helio Gracie Hosts Seminars & Self-Defence Classes annually.